Jerie and Arvila are participating in this show opening August 14 at Framations. 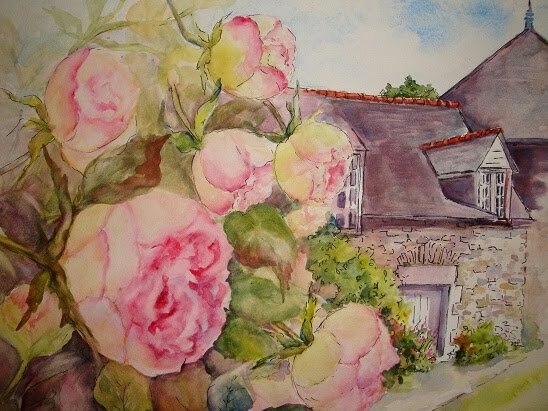 Heirloom Roses Jerie Artz,watercolorist and plein air painter, depicts a “joie de vivre” inspired by by the changing seasons wherever she lives, especially the French countryside. Having lived and traveled in France, painting for her own pleasure in a travel journal is one of her passions. 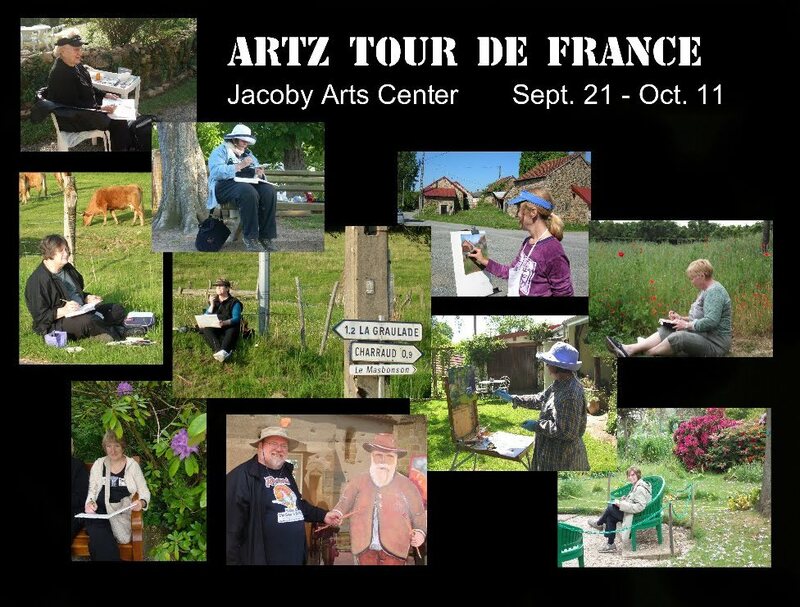 In May of 2010 Jerie organized a 15 day painting trip to France for 10 artists. This trip inspired an exhibit of work called “Artz Tour de France” that is now travelling throught galleries in Illinois. Arvilla Friar’s favorite subjects to paint are historic buildings. 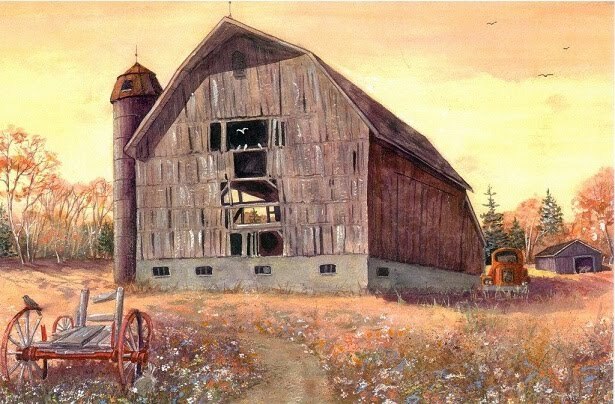 But she equally enjoys painting old weathered barns, flowers, hummingbirds, light houses, wildlife, and the country side. She has painted several of the 114 Michigan lighthouses from both the upper and lower peninsula. Arvilla’s greatest joy, however, is to see her artwork lovingly displayed on the walls of her children and grandchildren. Additionally, they report info about the French shows they are having as a result of their trip to France in May. The 10 artists have quite a collection of work. They just finished an exhibit in Belleville at the Abbey, and they set up at a new wine/coffee bar in Breeze, Il. – “Flavors”. They are having an exhibit at the Jacoby Art Gallery in late September/October and then they’ll be at the Art on the Square building in Belleville in November. They are having a terrific time continuing the French art experience! as they exhibit work produced through immersion in the culture of France. Gallery hours: Tuesday through Saturday, 10 a.m. To 4 p.m.